Are business cards an old-fashioned practice or still a good idea for businesses? As most business people know, networking is key to success. For many years the exchange of business cards was how people shared their information with people they would like to connect with. An excellent, memorable business card was key to making contacts. But times have changed. With the widespread usage of social media, and the fact almost everybody carries a smartphone now, exchanging information using your telephone is an easy possibility. So, are business cards still relevant today? The answer is: it depends on the situation. 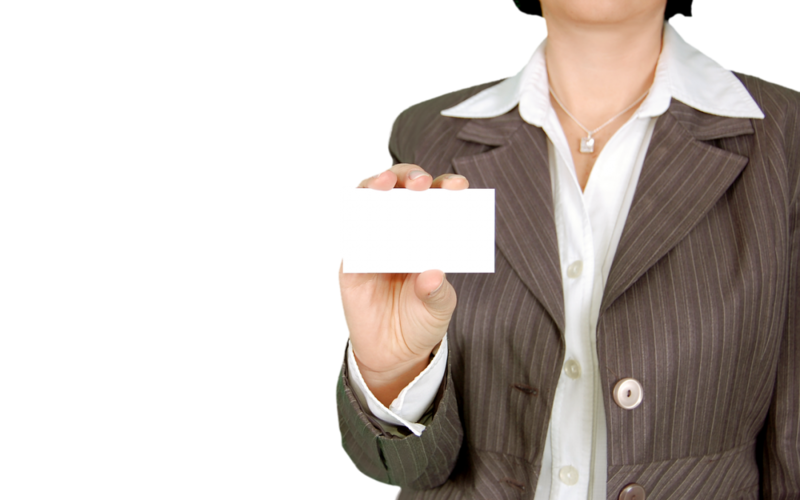 When you have a networking opportunity, there are alternatives to the traditional business card. Everyone should have a LinkedIn account, as well as a Facebook and/or Twitter account that is dedicated to professional contacts. Sending an e-mail to a new networking opportunity immediately is very effective too. It means you automatically have their contact information, and they also have a reminder of their encounter with you when they check their e-mail at the office. Technology also allows for you to make a short video that outlines your company and what differentiates it from others. The video should include buttons that the recipient can use to download your information. These videos can be beamed over through iPhones, or they can be put into portable memory sticks, some of which can even look like an old-fashioned business card. While there are some awesome technological advances when it comes to sharing your contact information while networking, old-fashioned business cards are still sometimes necessary, so don’t throw yours out yet! If you are dealing with someone who is a little more traditional and do not use a lot of social media, then a business card is the way to go. Make sure your business card includes information about your website, LinkedIn profile, and e-mail address. Business cards are also good to use in conjunction with exchanging information electronically. Make sure that if you exchange a business card with someone, you actually go and connect with them on LinkedIn, or you send a follow-up e-mail in order to maintain contact. Business cards often get thrown in a corner and forgotten, or even thrown away. So, make sure to take these extra steps so as not to become a forgotten meet up! Business cards are also a must have at a gathering that is specifically for networking. They are expected, and they exude a high level of professionality. Also, if you can manage to make a creative business card, you can stand out from the crowd. Furthermore, if you are giving an elevator speech, have a business card ready. So, keep a hold on those traditional business cards, and use them in addition to all the new technology available. If you use these different ways of networking well, you can ensure you are remembered.